Quality is the starting point of value and dignity, also is the lifeblood of survival of the company.As the Asia's high-end manufacturer and leading enterprises of shot blasting machines---QINGDAO KNNJOO MACHINE INC.Never forget the importance of industrial development for the world progress.And is the leading enterprise of Asian high-end shot blasting machine and casting machinery.The company has a modern research center, advanced manufacturing plant, outstanding cutting-edge industries talent.The company's products include various types of shot blasting machine, shot blast strengthen machine, sand blasting equipment,foundry equipment, dust environmental protection equipment and relevant supporting steel shot, steel grit, wear-resistant parts and other 100 kinds of products,more than 20 products filling a domestic gap in this field The company get the international ISO9001 certificate, Germany TUV certificate, EU CE certificate, France BV certificate. Our products are exported to Germany, Spain, France, the United States, South Korea, Japan, Singapore, Australia, Russia and other 49 countries,and enjoy a high reputation and reputation in the world. various indicators ranked the forefront of the industry shot blasting machines for many years. In the nuclear power shot blasting field, the company's market share lead. Successfully developed domestic first set of HS3750 hook type nuclear power valve shot blasting machine,and win the bids of domestic nuclear power manufacturer Sufa Technology Industry Co., Ltd. of CNNC and Jiangsu Shentong Valve Co., Ltd. 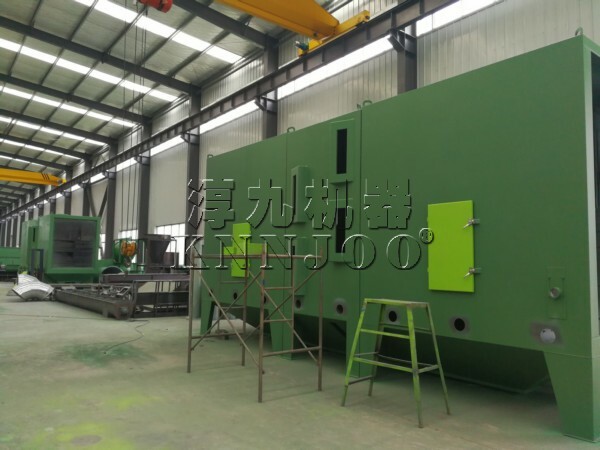 The company design and manufacture more than 240 sets of large hook shot blasting machine in domestic and foreign ,The products are widely used in ThyssenKrupp, Siemens, Getrag, Germany Stuttgart robot,Taiwan Concorde, China national nuclear power, Sany Heavy Industry, Doosan Korea, Caterpillar and other companies. 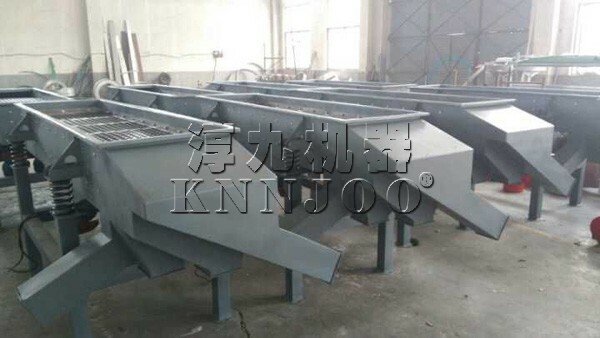 In the construction shot blasting field, KNNJOO is the industry leader. The company cooperation with the Shanghai Grandtower Steel Structure, Butler light steel and other world-renowned enterprises,The company has become the strategic partner of Hangxiao Steel Structure developed a variety of patented technology independent shot blasting equipment with Hangxiao Has to undertake the shot blasting pretreatment line and through type shot blasting machine project of 39 Hangxiao factories, Shandong Hangxiao , Henan Hangxiao, Hebei Hangxiao, Jiangsu Hangxiao, Gansu Hangxiao, Xi'an Hangxiao, Chongqing Hangxiao, Shanxi Hangxiao,The through type shot blasting machine spread all over the domesticAnd also go abroad at the same time, apply to Japan NIC, Korea KPF shot blasting machine project. 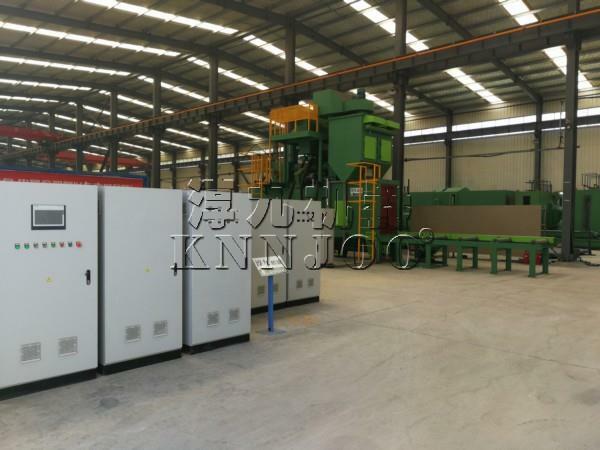 In the automotive shipbuilding shot blasting field, KNNJOO is worthy of industry experts. 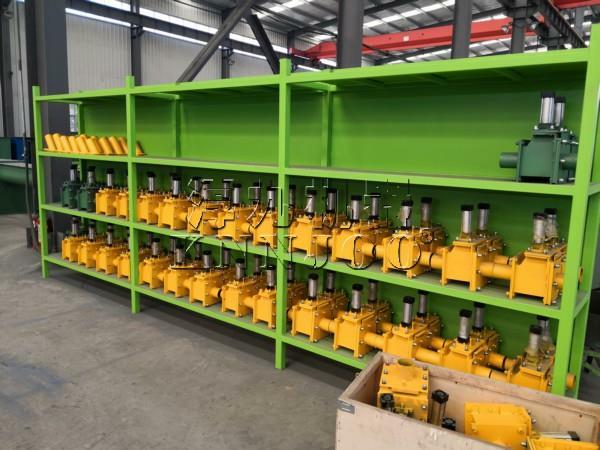 Iconic customers include：BOMBARDIER，ALSTOM，FAW-VOLKSWAGENCUMMINS ENGINE，DONGFENG MOTOR CO., LTD.，CRRC，BEIBEN TRUCK，AISIN-TIANJIN, SUZUKI，SHANGHAI GKN DRIVE SHAFT，NAC, JIANGNAN SHIPYARD, KOMATSU and etc. 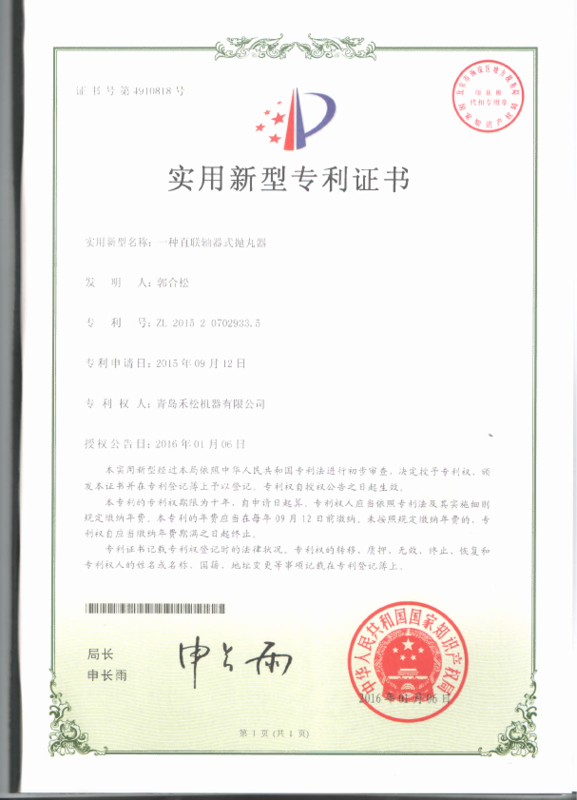 The company has received the honors of China North Industries Group strategic suppliers, TBEA outstanding suppliers Also widely used in the South Korean Hyundai Heavy Industries, McDermott, KAWASAKI, Ford (Mexico) engine and other companies.In other industrial areas, KNNJOO is a rising star,Products have been successfully applied in many fields, like high-speed wire rod shot blasting machine, coiled wire shot blasting machine, pipe inner and outer wall shot blasting machine, round spring, leaf spring, crankshaft, gears strengthening, robotic automation, roll texturing, strip cleaning, large structure sandblasting The company have developed many large customers such as Swedish SKF, Pakistan International Steel, Hitachi nuclear industry, DALENG, Japan JFE Steel, C&U group. Driven by innovation, Known around the world. Innovation, change, and constantly inspire us to move towards a broader front. In recent years, the company cooperate with Germany, Japan engineers,make the company has reached the world's advanced level in product design. It has become the onlyhigh-power direct type blast wheel with independent intellectual property rights in Asia-Pacific region. 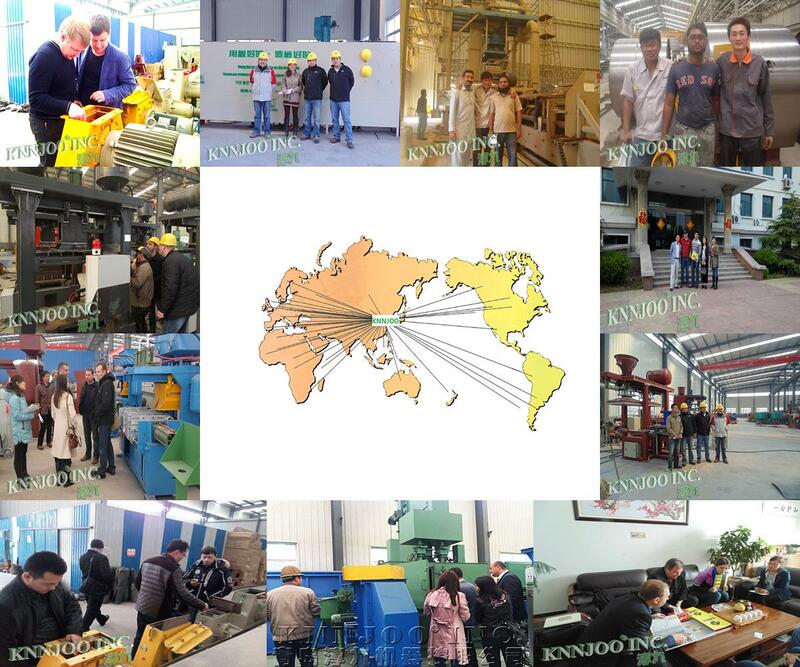 Products applied to export high-end machines, get the praise from european and american customers. 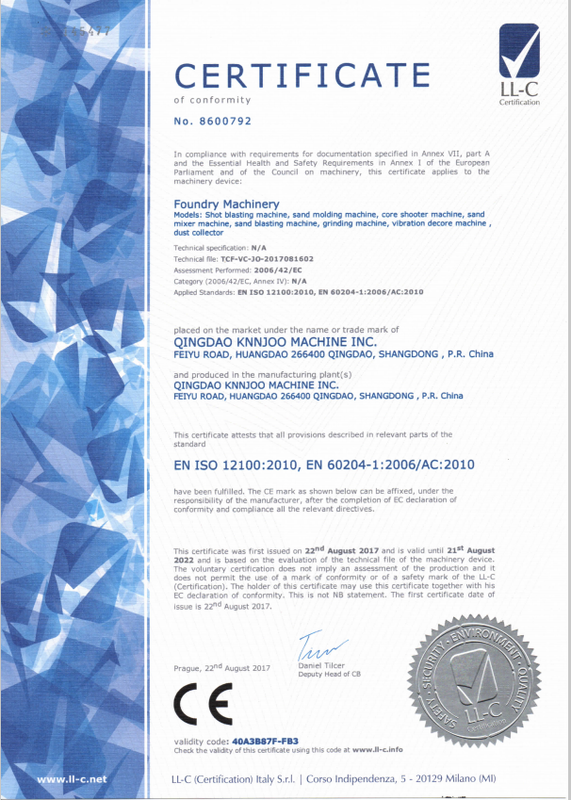 The manufacturing process and the level of the company is in the international advanced level.In addition, the company has invested significant R & D strength in terms of shot blasting machine wear parts research and development, shot blasting circulatory system technology research, shot blasting dust environmental performance, important technical upgrading of main equipment structuresAccelerate the elimination of backward technology,make company's shot blasting devices have the significant advantages of longer life, low maintenance rate, more prominent environmental performance and lower operating costs in the industry,It has been affirmed by new and old customers at home and abroad. There are many senior engineers, foreign engineers and other thirty research personnel in the company,and has first-class installation and commissioning team and experienced front-line manufacturers,which are effective guarantee for the products’ custom made, research and development, manufacturing and delivery. A splendid accomplishment is also the starting point. With the obvious trend of economic globalization, the company put the new development concept"building three-dimensional win-win system, creating world leading quality"strict requirements for quality and process, to grow into the world famous enterprises and strive to open up. Welcome to Qingdao to visit our company!